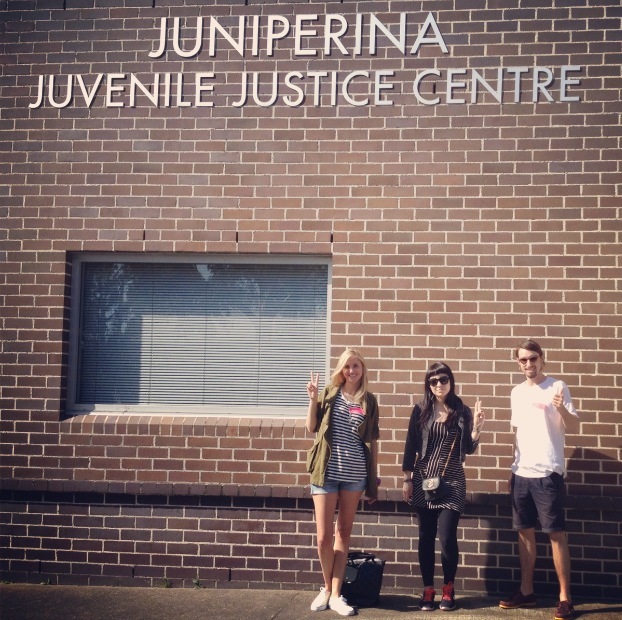 Last week the guys made another trip out to Juniperina Juvenile Justice Centre to work with the girls, and this time the Heaps Decent crew were joined by DJ Gina Turner. Hailing from America, Gina took some time out of her Australian tour to help facilitate a beat making session with Kristy and Stu and had a great time working on some new tracks. According to Gina the girls at Juniperina loved trap and moombahton music, so stay tuned for the finished tracks from last week’s workshop which will be heavily influenced by these styles. Thanks once again to Gina for helping out, we hope you had a great day!